Google Chrome recently updated to its latest version with some new features like completely new design of Google Chrome tab page , restoring the recently closed tabs in google chrome and many more.The option to opened recently closed tabs wasn’t officially in the google chrome but now it is officially introduced in google chrome.Many features are introduced in the newest version of google chrome and some old features are already there in google chrome which people don’t know about it like to view saved passwords in google chrome and you can also tweak your google chrome to speed up for fast browsing but today we will see how on google chrome we can open recently closed tabs. 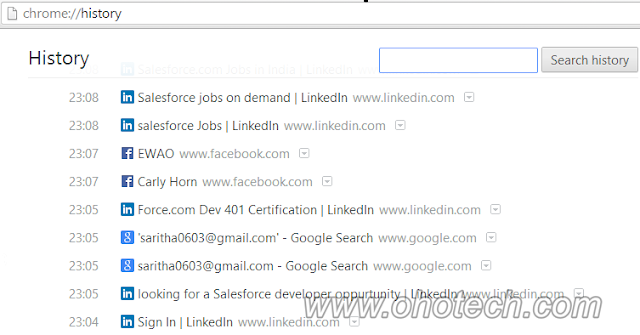 Open your google chrome and then click on customize and control button on google chrome and then click on Recent Tabs it will show all the recent tabs that are recently opened in google chrome ,see below image. 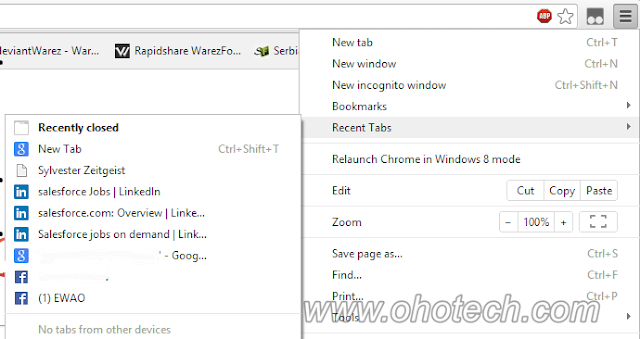 You can also do searching in history , so that how you will able to find your all browsing windows .That’s it i hope you like my this post if you have any query please do comment and don’t forget to subscribe to my blog.